Mickey Finn, the percussionist with glam rock band T.Rex was born 3rd June. Formed in 1967 T.Rex originally formed as Tyrannosaurus Rex, After a solitary performance as a four-piece the group immediately broke up. Bolan retained the services of percussionist Steve Peregrin Took and the duo began performing acoustic material. The combination of Bolan’s acoustic guitar and distinctive vocal style with Took’s bongos and assorted percussion earned them a devoted following in the thriving hippy underground scene which included the late great BBC Radio One Disc jockey John Peel who championed the band early in their recording career. By 1968, Tyrannosaurus Rex had become a modest success on radio and on record, and had released three albums. 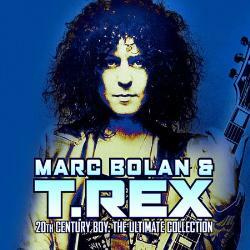 While Bolan’s early material was rock and roll-influenced pop music, he was also writing dramatic and baroque songs with lush melodies and surreal lyrics filled with Greek and Persian mythology as well as creations of his own. After Bolan replaced Took with percussionist Mickey Finn, they completed A Beard of Stars. Only a few of Kafka’s works were published during his lifetime: the story collections Betrachtung (Contemplation) and Ein Landarzt (A Country Doctor), and individual stories (such as “Die Verwandlung”) in literary magazines. He prepared the story collection Ein Hungerkünstler (A Hunger Artist) for print, but it was not published until after his death on 3 June 1924. Kafka’s unfinished works, including his novels Der Process, Das Schloss and Amerika (also known as Der Verschollene, The Man Who Disappeared), were published posthumously, mostly by his friend Max Brod, who ignored Kafka’s wish to have the manuscripts destroyed. Albert Camus and Jean-Paul Sartre are among the writers influenced by Kafka’s work and the term Kafkaesque has since entered the English language to describe surreal situations like those in his writing. 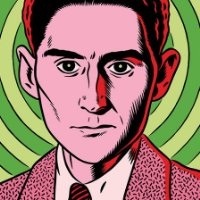 Some of Kafka’s novels have also been adapted for film, radio, audiobook and television.